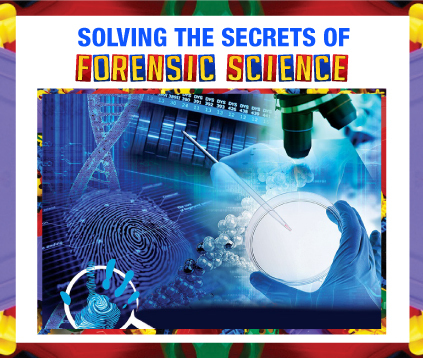 Are you having a hard time getting your child interested in math or science? 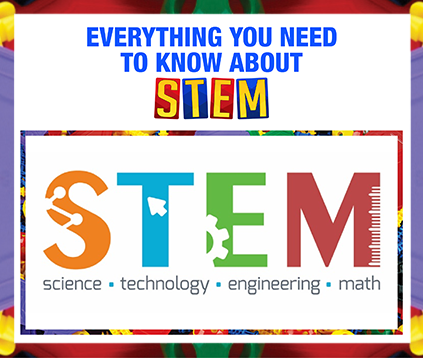 If so, it may be a good idea to look into STEM learning, which has been proven to engage children in the areas of Science, Technology, Engineering and Mathematics in a fun way. 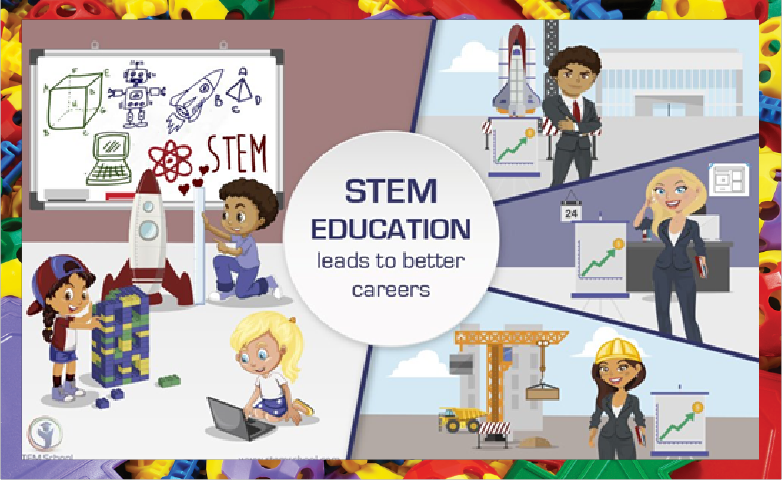 Studies by researchers have highlighted a strong correlation between early childhood and STEM learning. 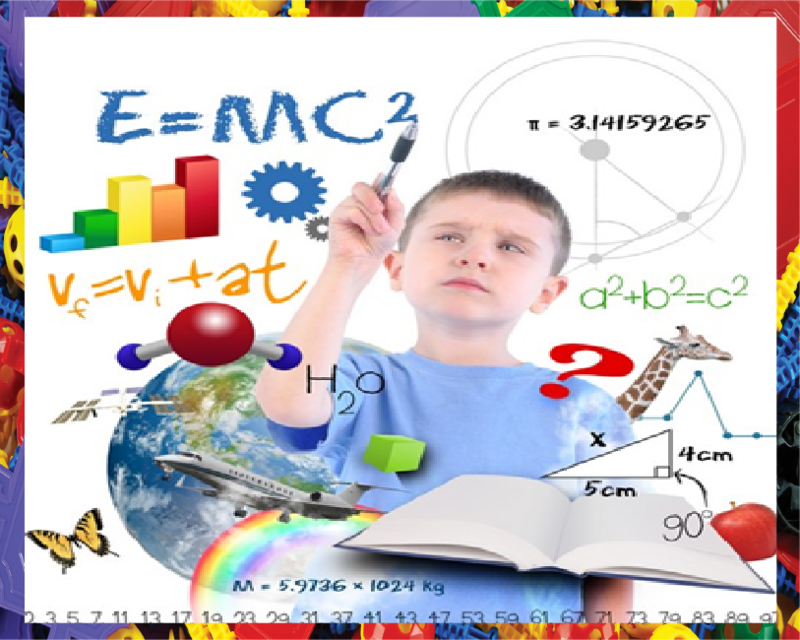 Research suggests children have the potential to learn mathematics and logic best between the ages of 1 and 4. The earlier students understand math and science concepts, the better equipped they are for future learning and higher education. for eight grade math and science respectively, and were not even in the top ten for 4th Grade math. 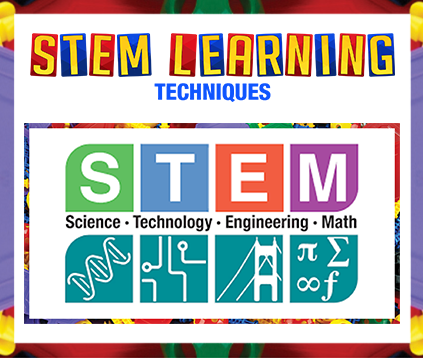 Recognizing the need for STEM-based learning, teachers and schools are incorporating the following techniques into the curriculum at the pre-school and primary levels to help students develop these skills. students to inquire about life. Some instructors use an exciting project like building a structure from blocks or making chocolate-chip cookies. This encourages kids to ask questions like, ‘How can we divide these cookies for a group?’ or ‘How can I make my block-skyscraper tall but not let it topple’? Teachers make use of what already exists in the curriculum and refine it to reflect the core STEM principles. Lessons are made interesting and activities become a useful blend of play and learning. Instead of presenting facts through books and videos, ideas are put forward through questions and problems. 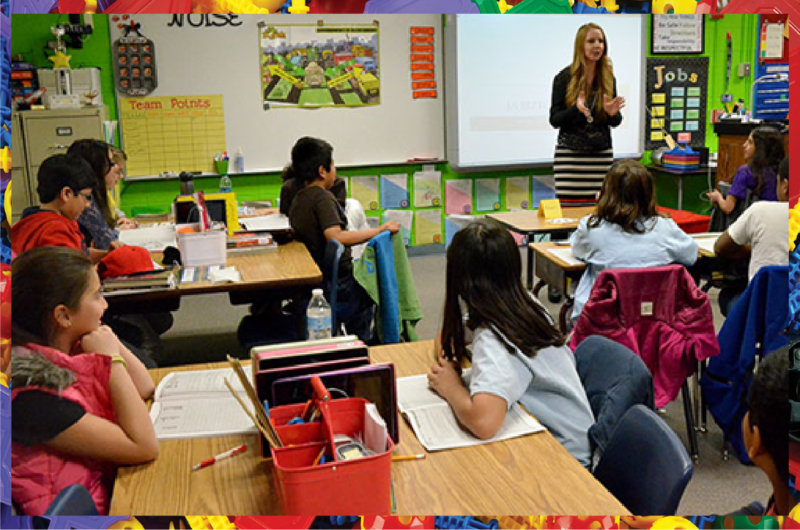 Teachers focus on incorporating questioning techniques in the classroom to encourage students to inquire about life. Some instructors use an exciting project like building a structure from blocks or making chocolate-chip cookies. This encourages kids to ask questions like, ‘How can we divide these cookies for a group?’ or ‘How can I make my block-skyscraper tall but not let it topple’? Learning is made fun by adding components of design, build and experimentation. Children learn through playful experiences and involving them in hands-on projects is an effective way to impart knowledge. 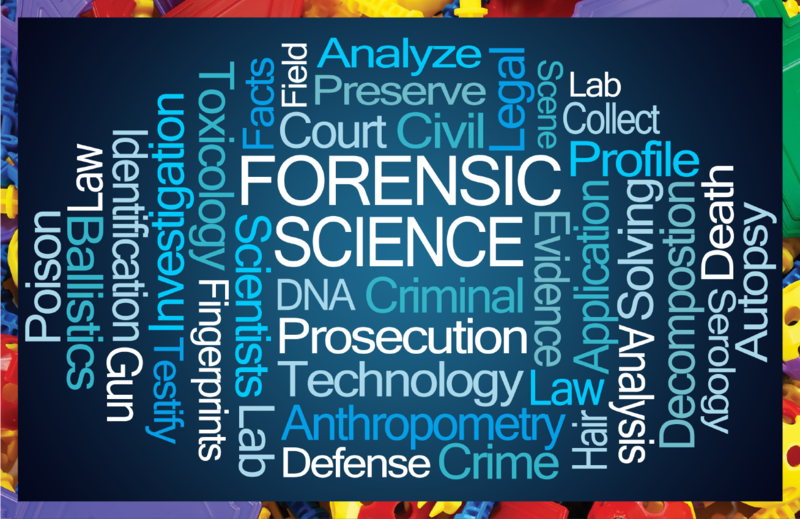 This approach helps create a learning environment in order to encourage investigation and discovery. Most teachers use interesting materials like cotton balls, beads, straws, popsicle sticks, erasers and cardboard to help kids learn measurement. 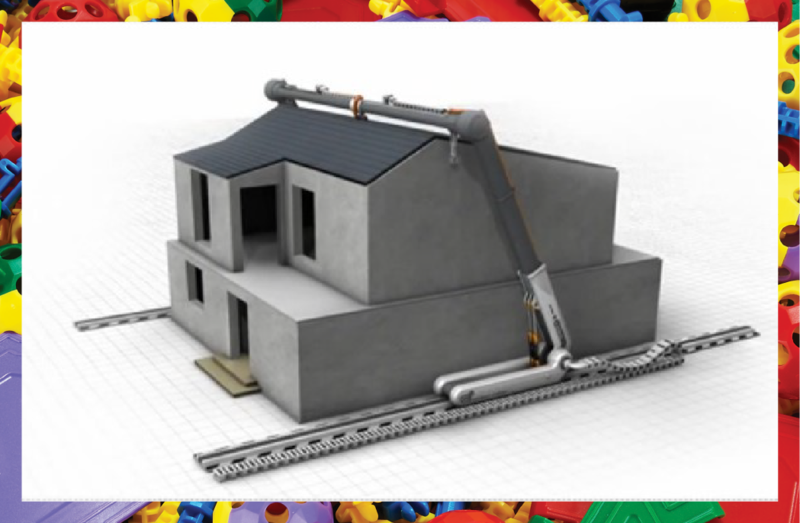 They do this by designing a tool to calculate the volume, mass and area of different objects. This approach incorporates STEM learning with a focus-on-fun element to make it a part of the everyday classroom. 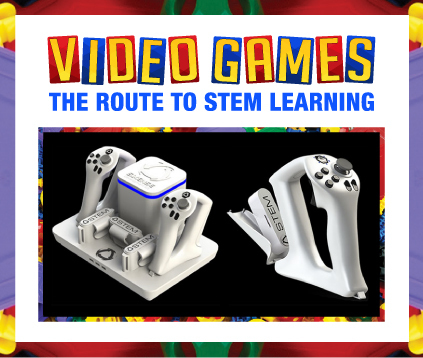 A successful STEM lesson keeps the students engaged and motivates them to solve problems. Such a lesson makes use of an inquiry-driven approach to spark the students’ curiosity, resulting in an interactive learning experience. For example, some teachers use faux money students can use to play buy-and-sell to learn about bartering, trading and purchasing. 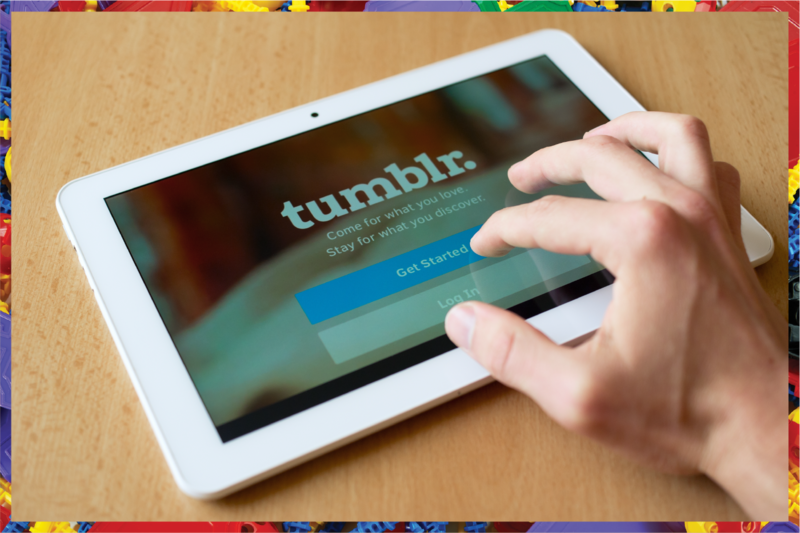 Open source channels like YouTube and Pinterest are an effective means for educators to share ideas. 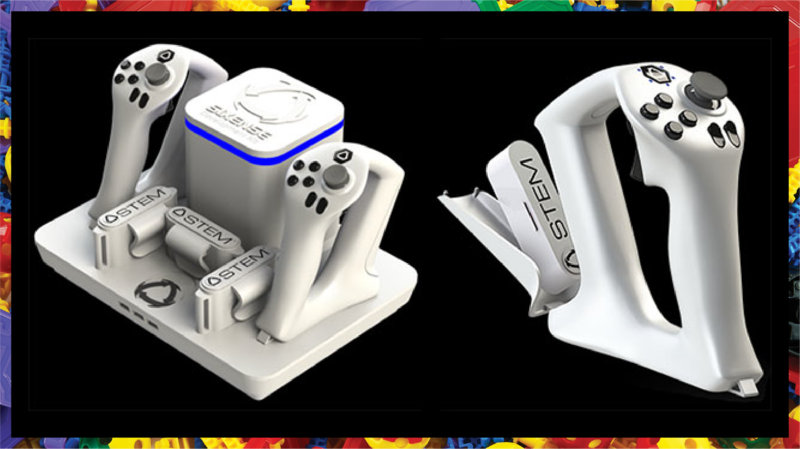 A great online learning platform for STEM where collaboration is encouraged is K3 STEM Science. 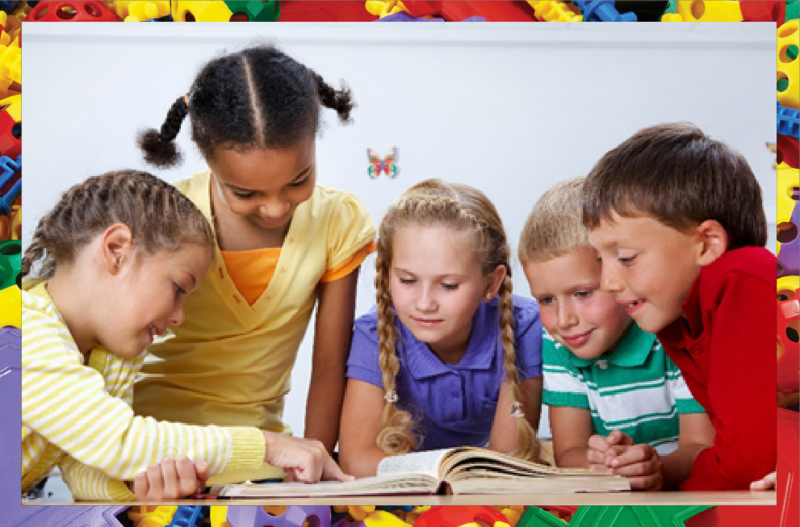 It’s a productive hub with a wide range of resources for primary grade classrooms. 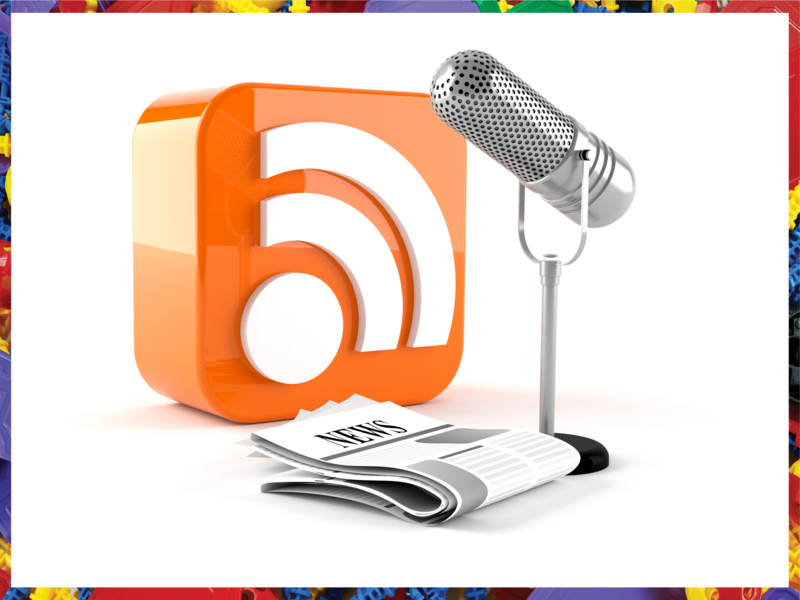 Another noteworthy resource for teachers is the use of classroom blogs and personal educator blogposts to make instruction more STEM-centric. 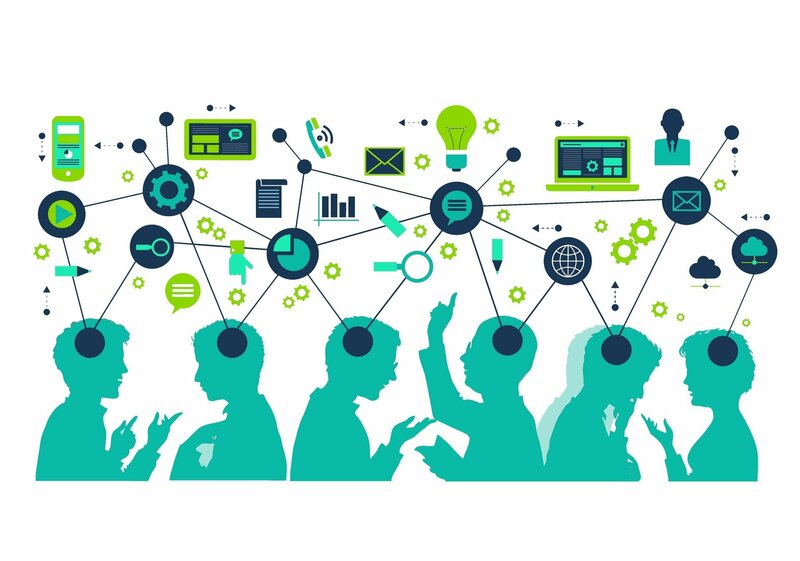 A study by the Carnegie Foundation Commission found that a nation’s capability to succeed and drive innovation through its workforce is largely dependent on a solid base of scientific and mathematics knowledge. Teaching math and science concepts to students at the elementary level sets the foundation for understanding, enabling them to excel in the future and help build a better world. 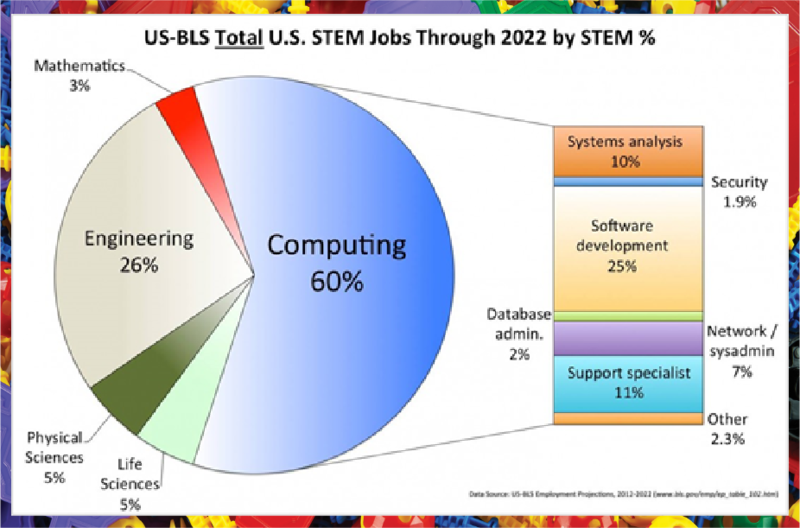 Do you know by 2038, 80% of US jobs will need technical skills? That’s not all, 8 out of 10 of the most in-demand workers listed by the US Department of Labor are STEM graduates, while the average payout for STEM jobs is 70% more than the national average. What does this imply? 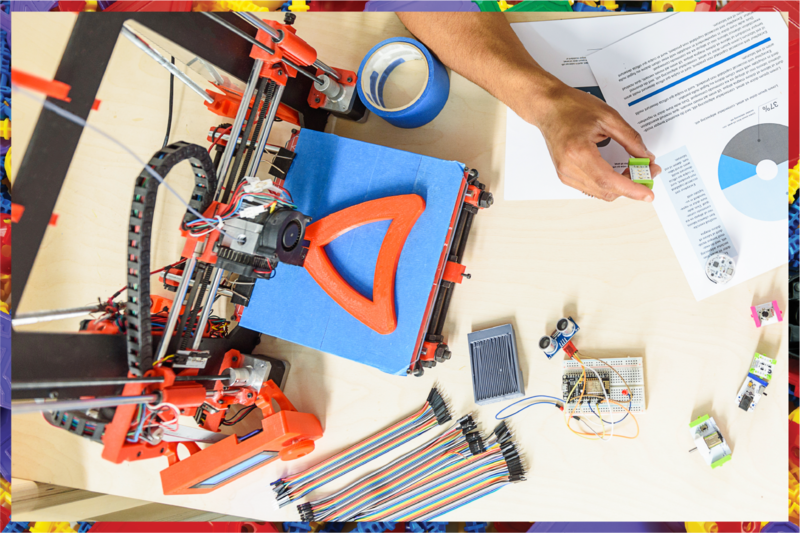 The thought-provoking statistics indicate the increasingly growing significance of empowering our children with the technical competencies needed to address real-world problems. 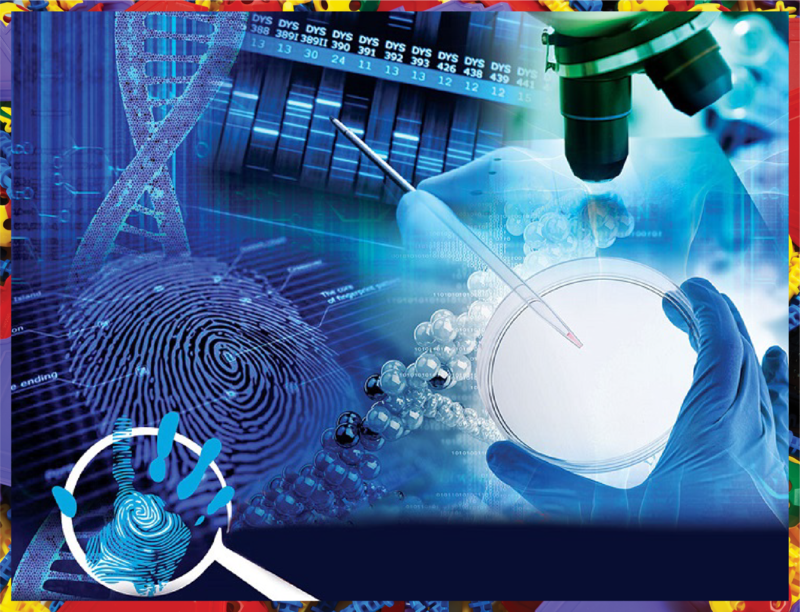 Science, Technology, Engineering and Mathematics are four key areas shaping up the world today and will now predominantly shape the future of jobs. 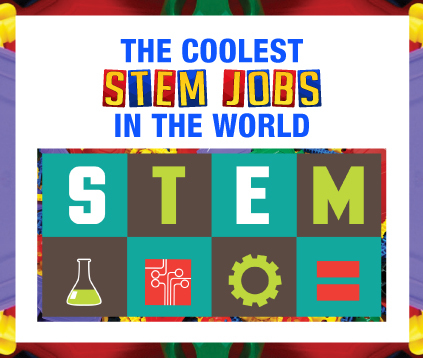 According to the Department of Commerce, STEM jobs are likely to grow twice as fast as other occupations by the end of 2018. This makes STEM learning necessary for a successful future. a feel of everyday math. Smartphones, wearable tech and artificial intelligence are examples of engineering and technology that have made our lives convenient and more efficient. 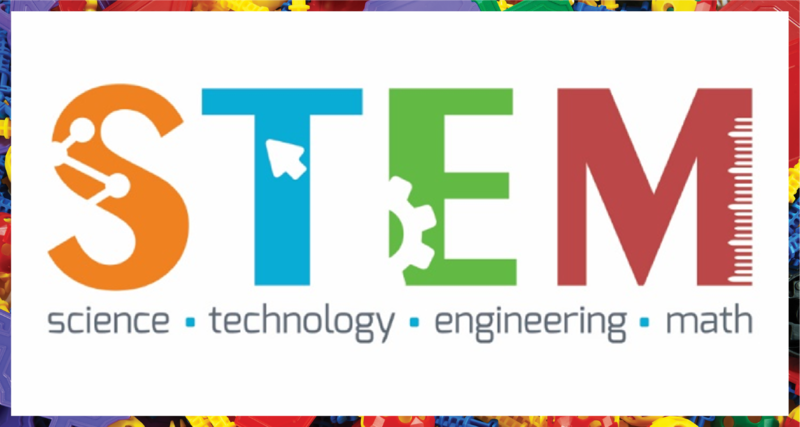 STEM learning is now fundamentally significant since it has a colossal impact on every part of our life. 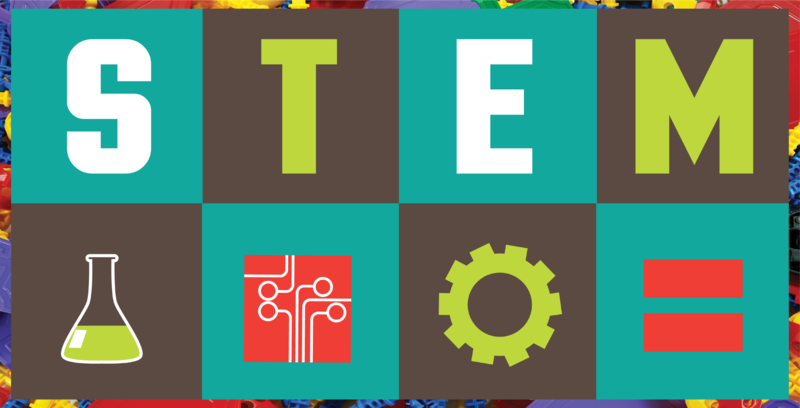 Approaches such as Engagement, Modification, Reflection and Collaboration are being used by instructors at schools to impart core STEM concepts. 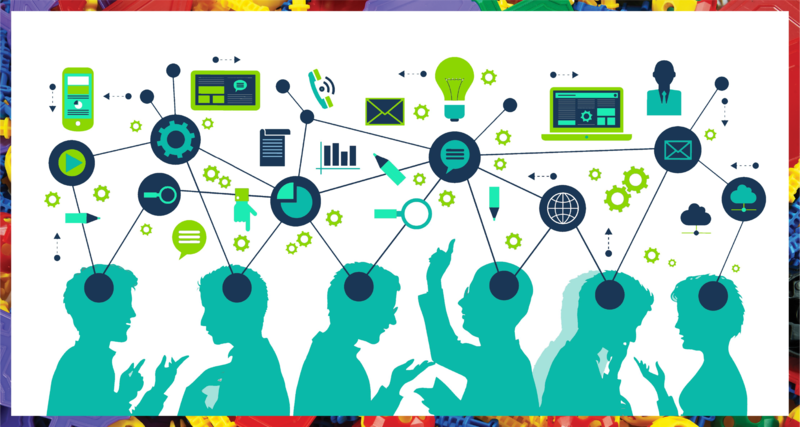 By refining the lessons, activities, and classroom questioning techniques, teachers can formulate an inquiry-driven lesson to engage kids in the classroom and helps build essential skills like problem solving and critical thinking. Teachers make use of a plethora of creative materials like cardboard rolls, charts, straws and sticks to motivate students to investigate and analyze. A Montessori system also uses a child’s everyday experience to stimulate curiosity by engaging them in projects using sand, leaves and rocks. 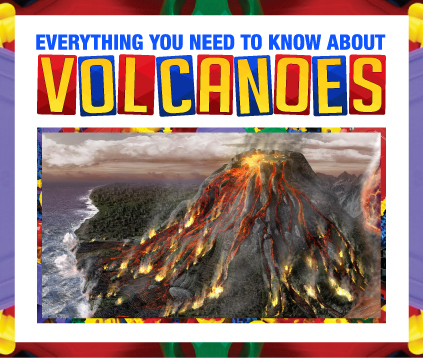 These help students learn about patterns, shapes, colors and porousness. 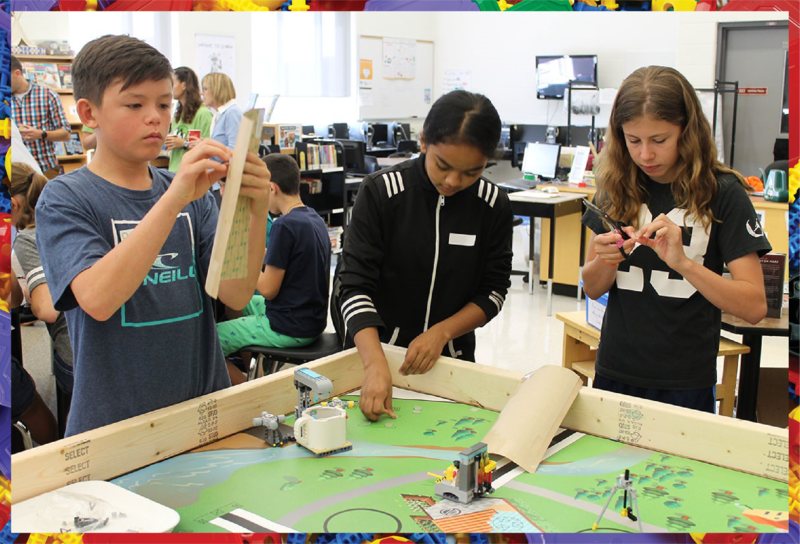 With such approaches, students can better understand the scientific concepts and develop abilities to help them respond to the rapidly changing world. these days. Recruiters today are looking for technical skills and most of these job roles are related to the field of science, technology, engineering and mathematics. Currently there are not enough skilled workers today who have these necessary competencies and there is a dire need to equip our generation with the required skillset. This includes engineering skills, scientific know-how and the ability to shape up creative ideas. 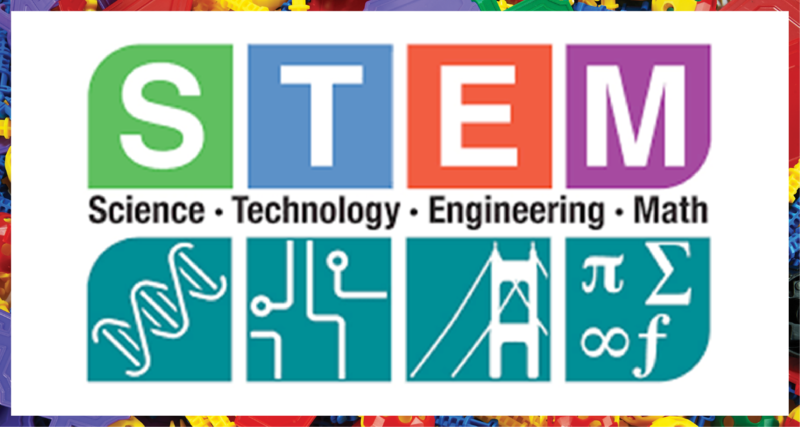 Employment for STEM-based job roles has outperformed overall U.S. job growth, increasing to 17.3 million from 9.7 million since 1990. 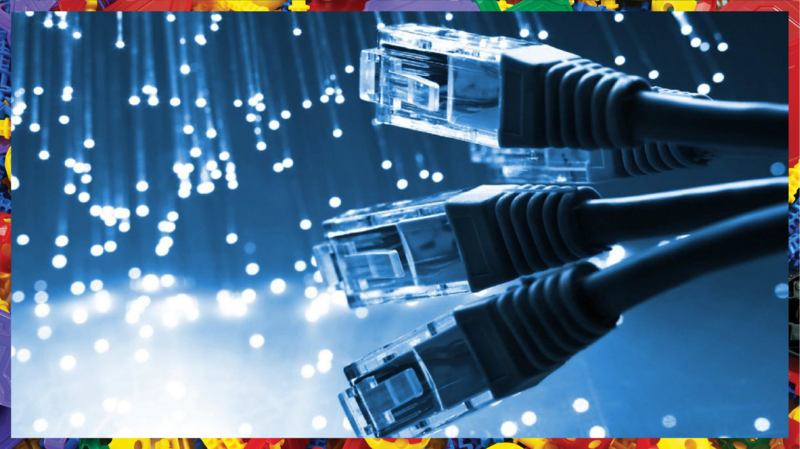 Careers in web development, electrical engineering, financial services, healthcare, cloud computing and civil engineering are the most in-demand STEM fields these days. Recruiters today are looking for technical skills and most of these job roles are related to the field of science, technology, engineering and mathematics. Currently there are not enough skilled workers today who have these necessary competencies and there is a dire need to equip our generation with the required skillset. This includes engineering skills, scientific know-how and the ability to shape up creative ideas. same school built a greenhouse to enhance food sources and combat global hunger. As Albert Einstein once said, ‘To raise new questions, new possibilities, to regard old problems from a new angle, requires creative imagination and marks real advance in science.’ With STEM expanding and growing at a rapid pace, it’s important for students to be well-versed with the related concepts to excel in their career and become influential global leaders of tomorrow. Have you ever wondered how some people are book smart, while some are street smart? What’s the difference between these different kinds of “smarts”? A book-smart individual has the capability to think logically and work out abstract ideas, while somebody street smart is a people’s person who is often more emotionally aware. 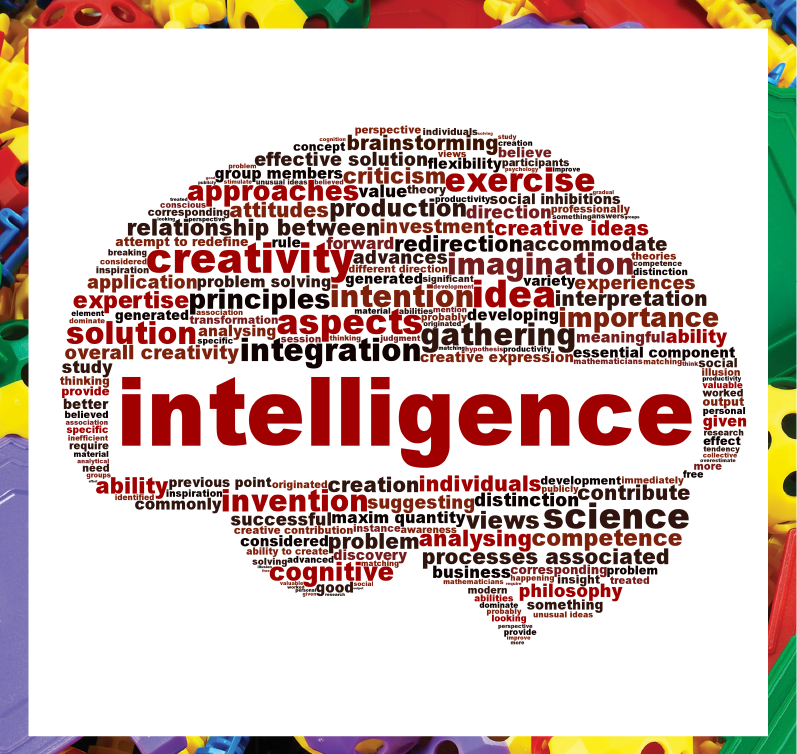 Intelligence Quotient (IQ) and Emotional Quotient (EQ) are measures of peoples’ potential to apply their intellectual and emotional abilities in the best way. higher intellectual potential apply logic and excel in challenging roles where they can best utilize their analytical aptitude and extract useful selective information. 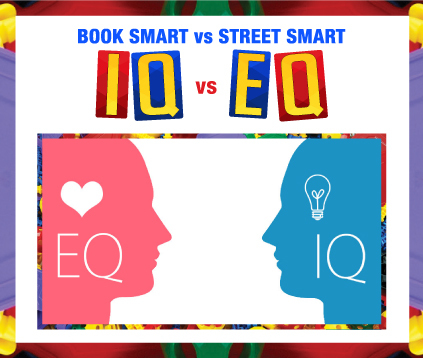 The intellectual prowess of any individual is usually gauged by the IQ metric while emotional intelligence is measured using the EQ parameter which is often difficult to quantify. an intuitive manner, the specific needs and requirements of others and the merits and de-merits of a situation while remaining unaffected by stress. Individuals with a higher EQ perform best in teams as well as in strong leadership roles since they inspire others and are ready to follow. 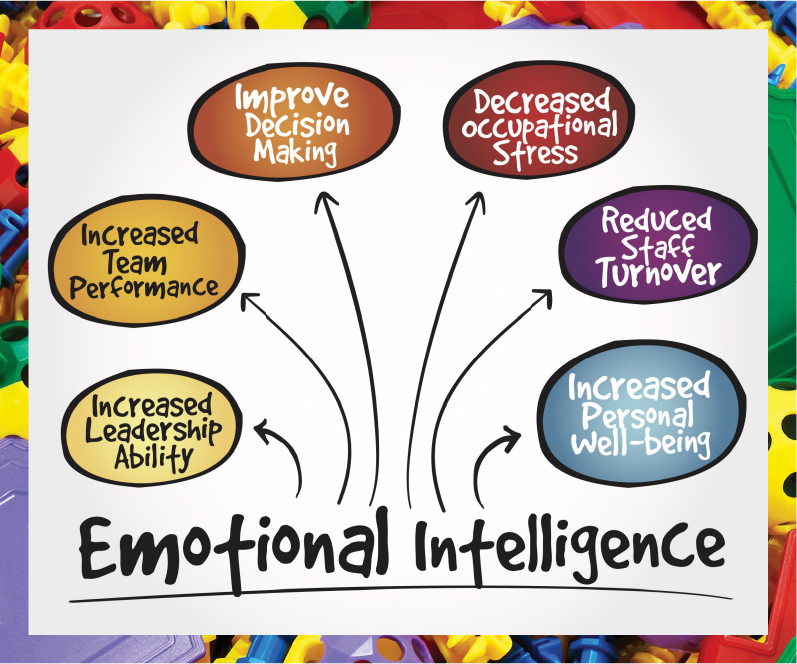 A higher level of EQ enables one to perform best in a leadership role because emotions are factored in when processing different thoughts. Emotional Intelligence enables you to read situations, evaluate your own and other peoples’ emotions, while demonstrating attributes like apathy and sensitivity. People with a higher EQ have a heightened awareness of the social, personal and survival aspects of our complex world as they can better read the different political, social and cultural factors. Those who are emotionally sharp can assess through an intuitive manner, the specific needs and requirements of others and the merits and de-merits of a situation while remaining unaffected by stress. 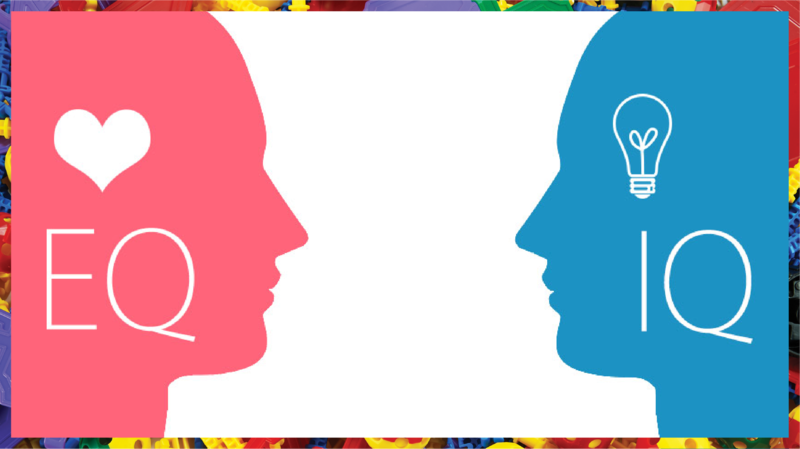 WHAT’S THE RELATIONSHIP BETWEEN EQ and IQ? EQ plays a pivotal role in boosting self-confidence, empathy and implementing self-control, which are all key attributes required for survival in the real world. 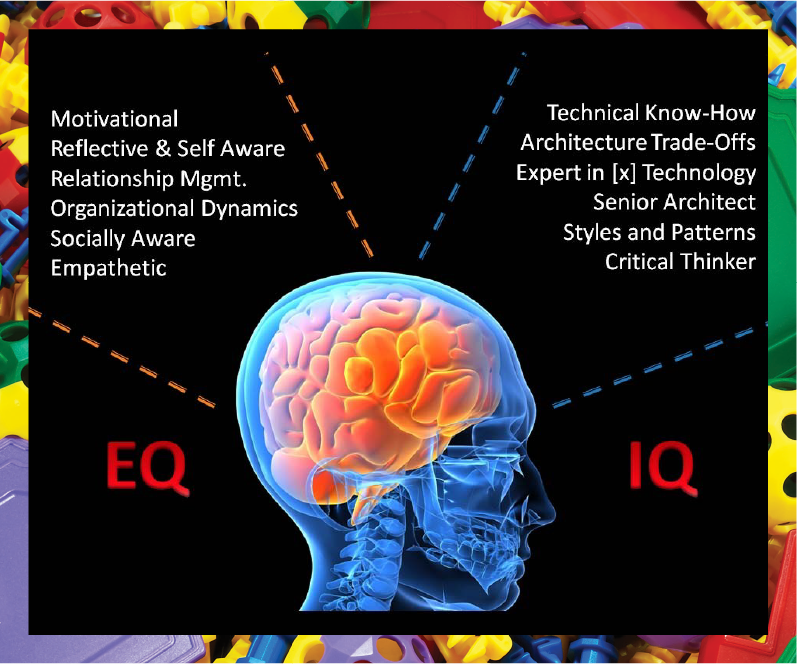 IQ and emotional intelligence stem from shared brain areas and create a well-rounded individual. Studies suggest success is largely driven by a combination of 20% IQ and 80% EQ, so the two actually work in harmony with each other. 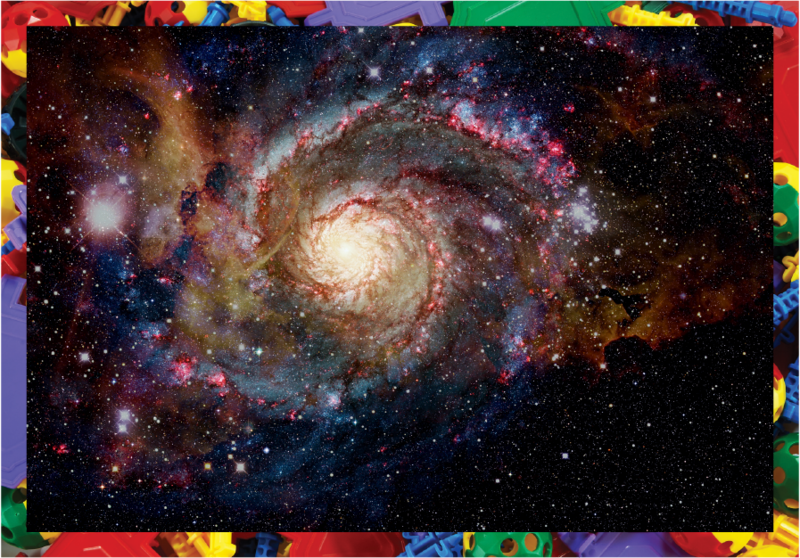 How many of us dream of being an astronaut when were little? 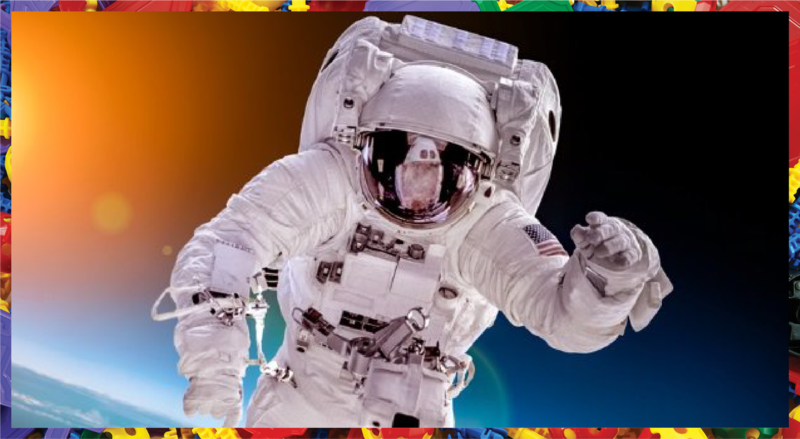 To float in space and explore the mysteries of the universe seems like the ultimate dream come true, but space travel and living in space isn’t all fun and games. Floating in space might give you the thrills but factors such as zero gravity and radiation tend to take a toll on your health, especially if the stay is for longer periods. 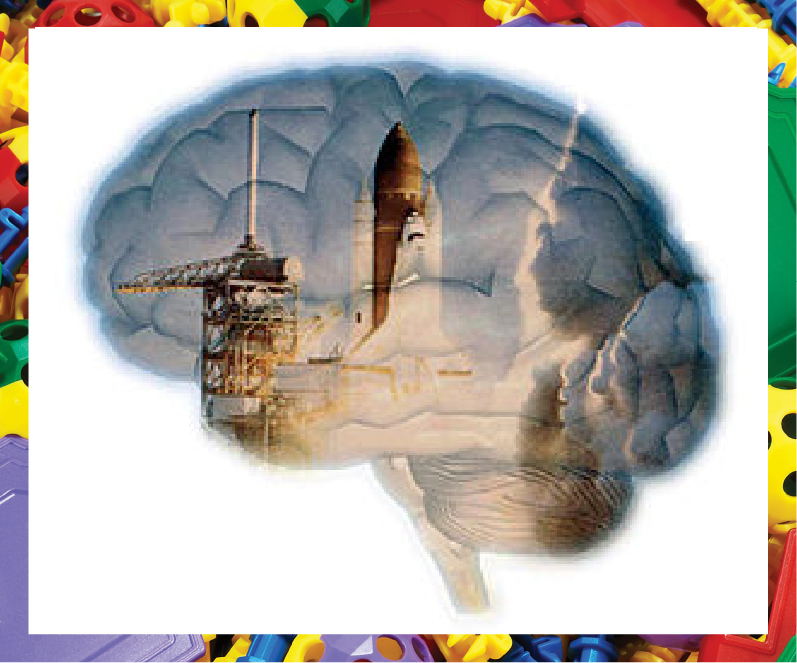 Astronauts who travel for space exploration are impacted in different physiological and mental ways. The key areas seriously affected by lengthy space flights are essentially the body mass and fluids, the cardiovascular system, the immune system, bones and the eyes. 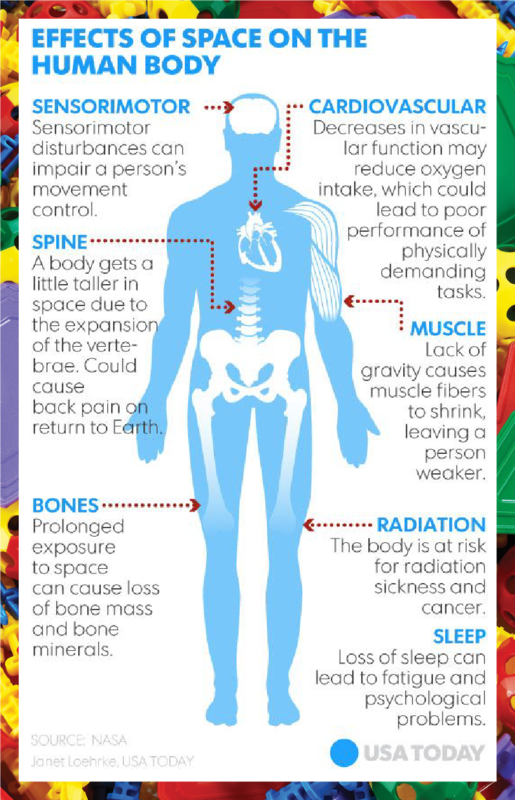 Every specific body part is affected by the conditions in space and as the duration of the space trip increases, recovery from long-term issues become even more difficult. Body fluids are affected the most due to low gravity, which makes these fluids float up so your body feels bloated and heavy. 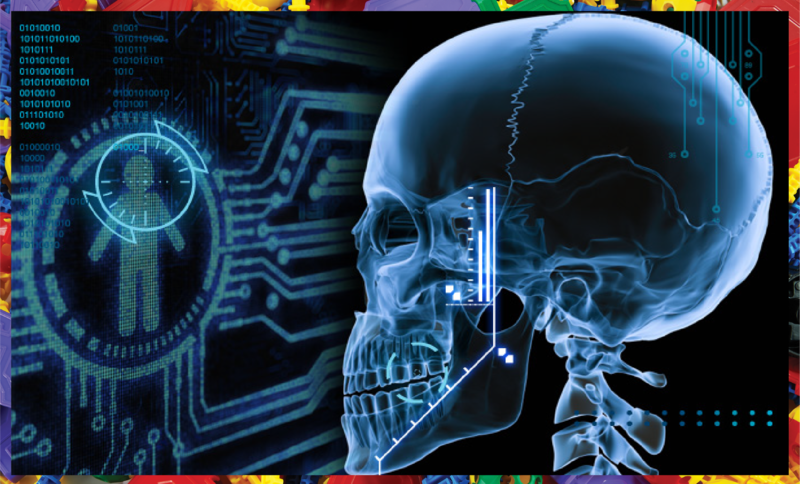 Our bodies are 70% water and when there is no gravity, water tends to move upwards, increasing pressure in the head. The low orbit in space changes the fluid distribution of the body dramatically. To address the problem, astronauts usually make use of space gear with straps normally tied at the top of their legs. Longer stays in space also lead to fluid loss, including reduction in blood plasma concentration. Plasma is a husk-colored liquid component of the blood containing platelets along with red and white blood cells. Studies reveal living in space contributes to a reduction in the amount of red blood cells in the body. This minimizes the amount of oxygen transported to the cells and reduces the cell’s ability to generate energy. The muscles are also seriously affected by spending prolonged time in space. Muscle atrophy is a probable concern due to microgravity in low orbit. Astronauts can lose about 25% of their aerobic ability in a space shuttle on a 14-day mission. This is why they need to take medical supplements and maintain a stringent dietary routine and exercise schedule while in space. A space study unraveled the implications of a lengthy space stay on bone mass where it was found that astronauts in the Mir Space Station experienced 1-2% of bone mass loss every month. Low bone density makes the bones weaker, leading to health problems like osteoporosis and difficulty in walking. Bone loss was the first issue reported by astronauts who had recently returned to Earth after their lengthy space stay. adaptation syndrome or space sickness, involving nausea, vertigo and headaches. Apart from physical implications, mental health is also affected in different ways depending on the duration of the space stay. Long-term exposure to radiation may impair the brain functionality permanently and stimulate the onset of Alzheimer’s disease. Motion sickness, balancing and disorientation are other common cognitive effects experienced by astronauts as they lose sense of the spatial points such as up and down. Some also experience the space adaptation syndrome or space sickness, involving nausea, vertigo and headaches. 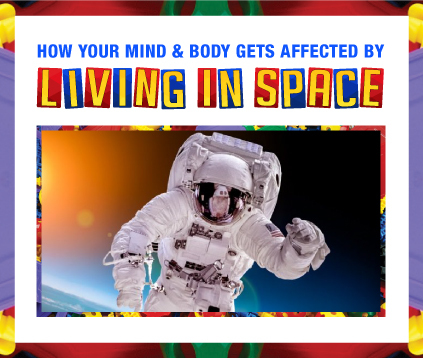 Although a trip to outer space sounds fun and adventurous, it does have some negative effects on your mind and body. NASA has enhanced the International Space Station’s life to perform additional medical research on the health implications of a longer stay in space. 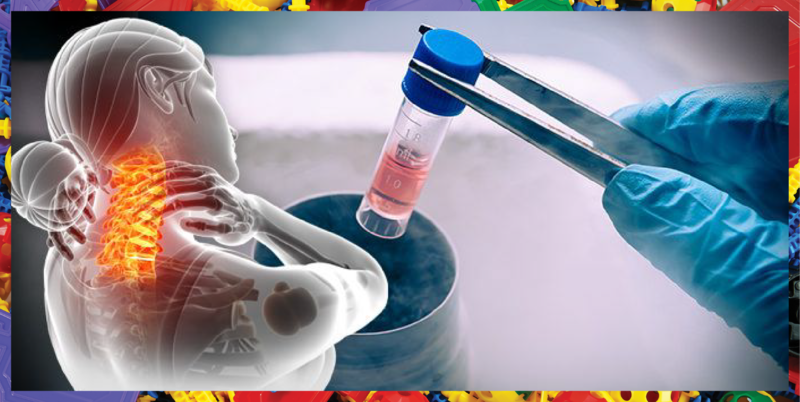 The healthcare industry has also come up with state-of-the-art testing procedures and measuring gadgets to further evaluate the changes in the body and mind as a result of long stays in zero gravity. These efforts will hopefully make space travel safer and minimize the underlying effects on health. Looking for some ‘personal’ time that relaxes your brain and takes you far away from a busy routine and the worries of the world? Grab some nice coloring pages, a few vibrant crayons and you’re all set to loosen up. As surprising as it sounds, coloring is not all about zippy hues and engaging fun. It’s a stress reliever and a great way to unwind that has significant health benefits associated with it. According to neuropsychologists at Medical Daily, coloring books promote mental relaxation just like meditation or a yoga workout with a calming impact to the mind. 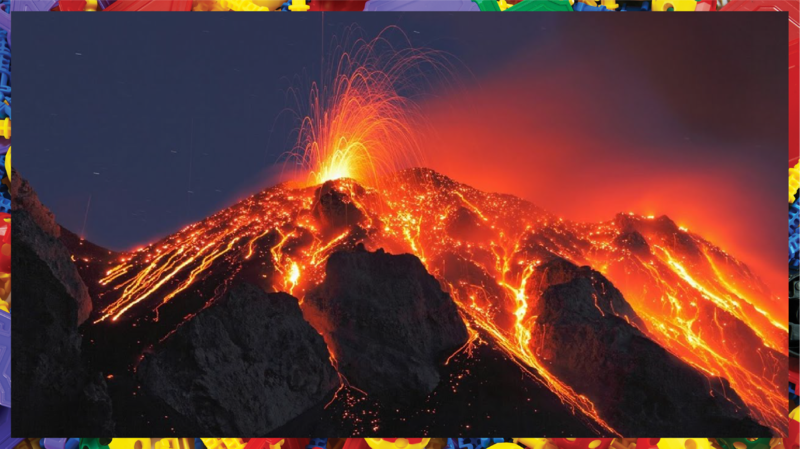 The science behind coloring and its effects on cognitive relaxation lies in the fact that it is an engaging activity that keeps us focused on a specific task. This helps keep after-thoughts and worries away leading to a peaceful state of mind. This is true for adult coloring books or exciting crafts projects for kids that include structured coloring that is considered a therapy for individuals experiencing anxiety according to health experts. 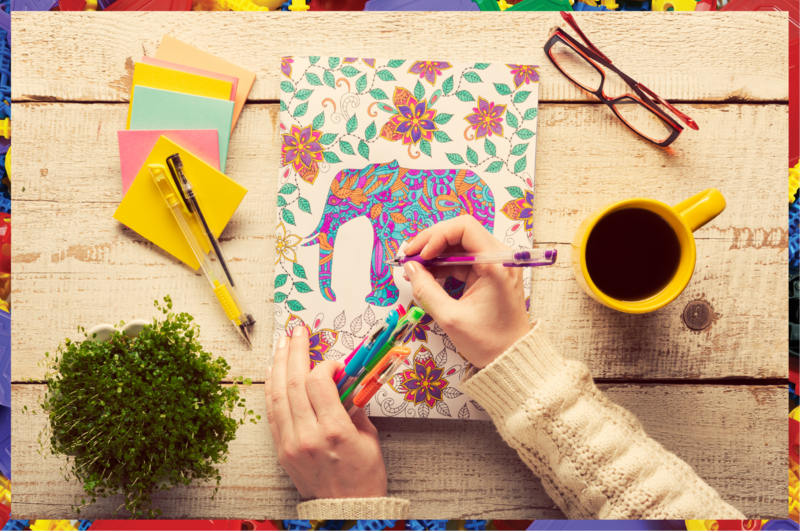 Since coloring activities promote mindfulness as suggested by Art Therapy: Journal of the American Art Therapy Association, this can help reduce anxiety levels and the risk of other diseases like depression and schizophrenia. An effective route to super charge your immune system is the use of crayons, paints and some coloring pages. Not only will it provide you with great old-school fun but will reduce cortisol levels in the body during high anxiety periods to relax the brain. As you color away, the adrenal cortex releases the optimum amount of the stress hormone so that your immune system gets an overall boost. 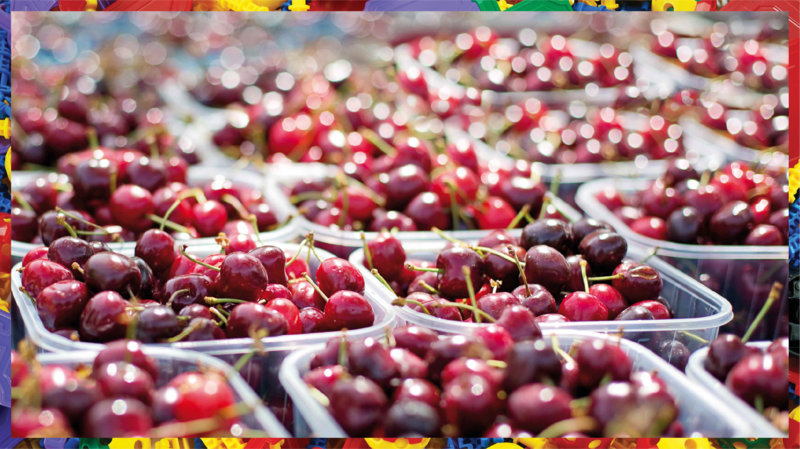 It also steps up the production of white blood cells and prevents common illnesses like the flu, cold or strep throat. Craving for some shut-eye? Time to take those colored markers out to improve the sleep cycle. The calming impact of coloring helps spark a mindset for sleep, cozy beds and peaceful spaces.Children who love to spend time filling vibrant hues in their favorite cartoon characters before bedtime are tempted to go to sleep as the activity encourages a restful and placid mind. Apart from luring you into unplugging from technology, like smartphones and TVs, coloring offers a productive therapy for cancer patients. 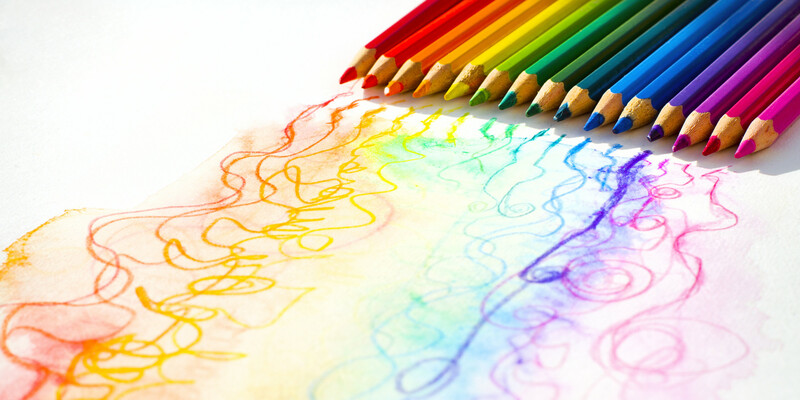 During chemotherapy, coloring activities can help minimize the discomfort and stress associated with the treatment. According to an expert at the UC Davis Comprehensive Cancer Center, creative craft activities like coloring have a positive impact on the right side of the brain that helps ease anxiety faced by cancer patients. Instead of thinking about therapy, pain and diagnosis, the patients are mulling over the type of colors to use and how to stay inside the lines. Coloring significantly affects your mental sleight increasing dexterity so that you feel young and strong. If taken up as a hobby, the activity can positively affect the cerebral cortex of the brain that is responsible for motor functioning and coordination attributes. Selecting different colors impacts your learning and analytical ability helping you develop a sharp sense of abstract thinking. 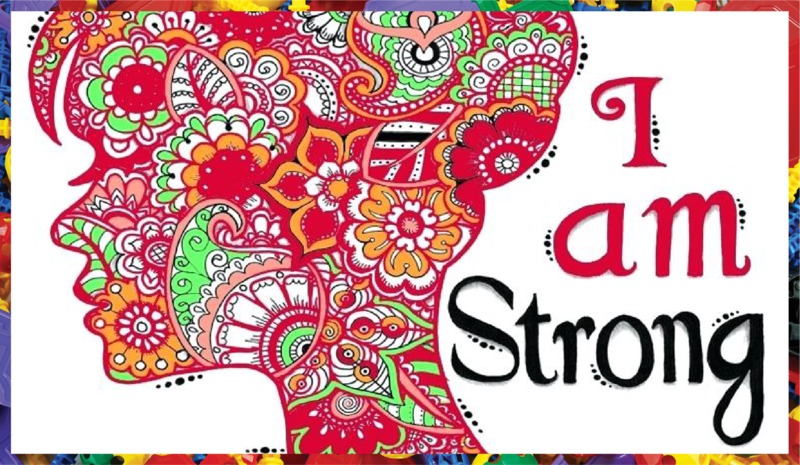 Coloring is known to relieve stress and anxiety that alleviates mood promoting strong mental health and wellness. As indicated by various medical studies, coloring one of the primary secrets to happiness and staying young. 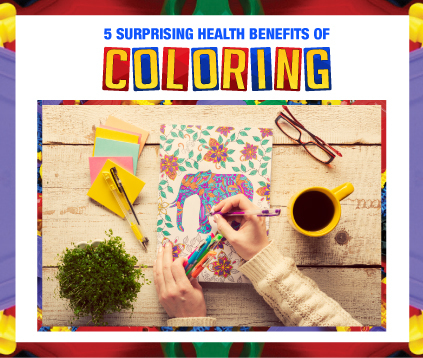 The use of coloring for therapy goes all the way back to the late and influential psychologist Carl Jung who considered it a great medical prescription. 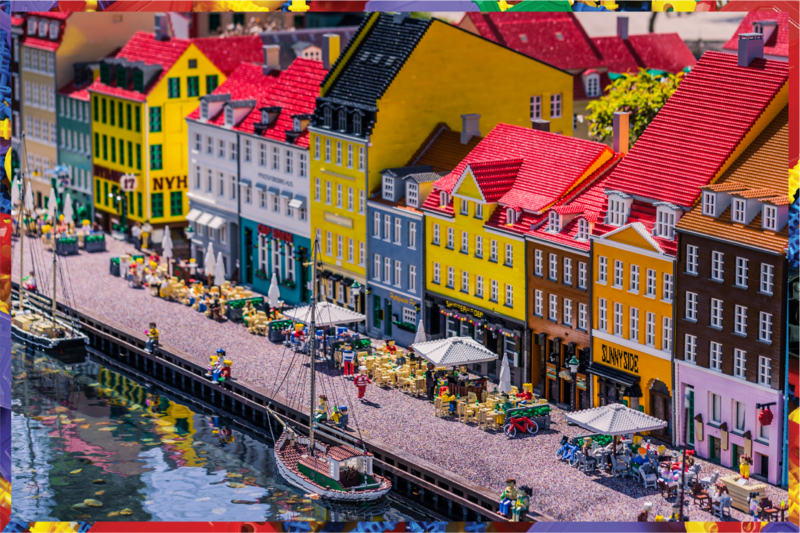 Coloring is an interactive activity that keeps our mind away from materialistic thoughts taking us to simpler times that remind us of childhood nostalgia and carefree days. 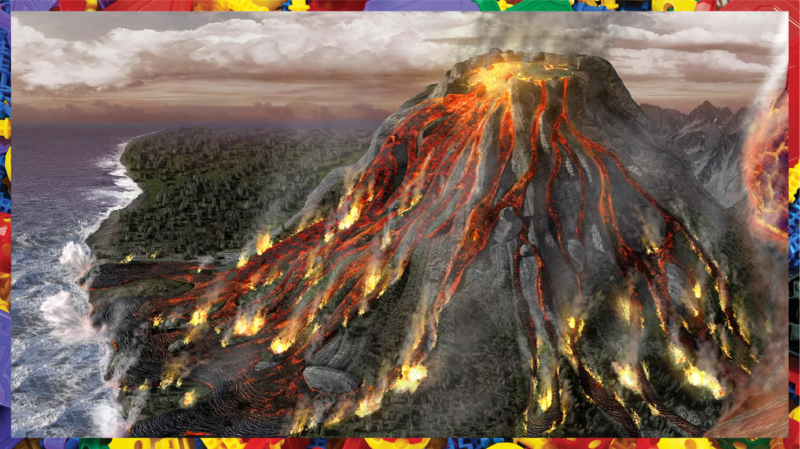 So, next time you need a brain-breather, go creative with some crayons and a coloring book! There is so much that man has yet to discover and space exploration provides an exciting avenue for our curiosity. 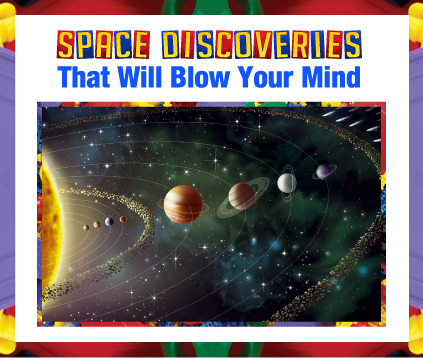 Astrophysicists have made groundbreaking discoveries that changed our initial perceptions and paradigms of space. 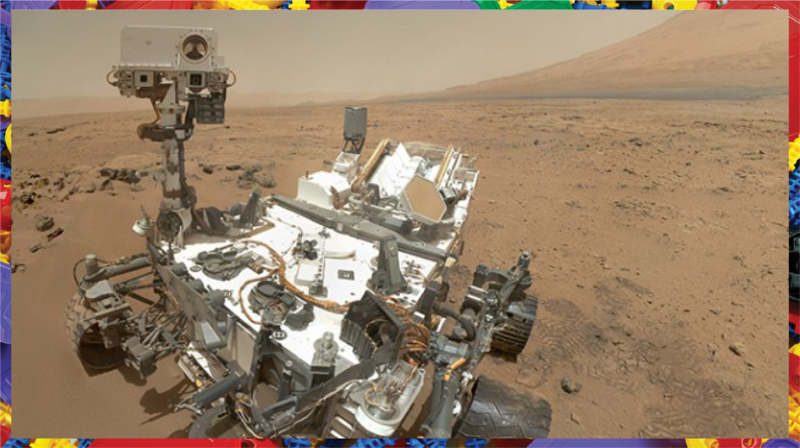 For example, for years we believed that Earth is the only planet with running water but thanks to space exploration, we now know Mars has intermittent running water as well. What others beliefs have been upended by scientists and explorers? in the solar system, opening up other routes for further exploration. HARPS since 2004 has made use of the Kepler space telescope to discover more than 2000 exoplanets. 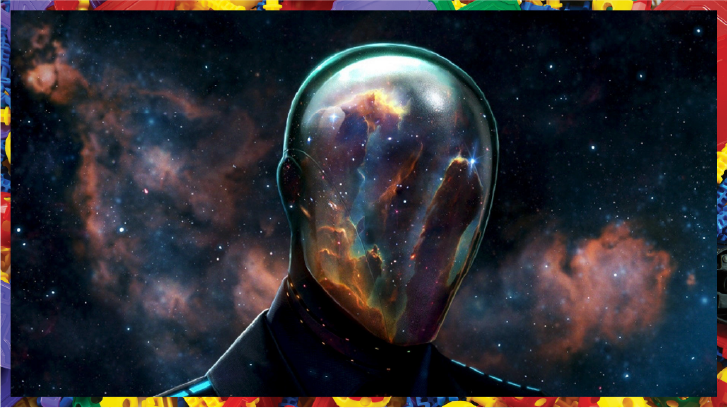 leading to the revelation that the universe is made up of different galaxies. 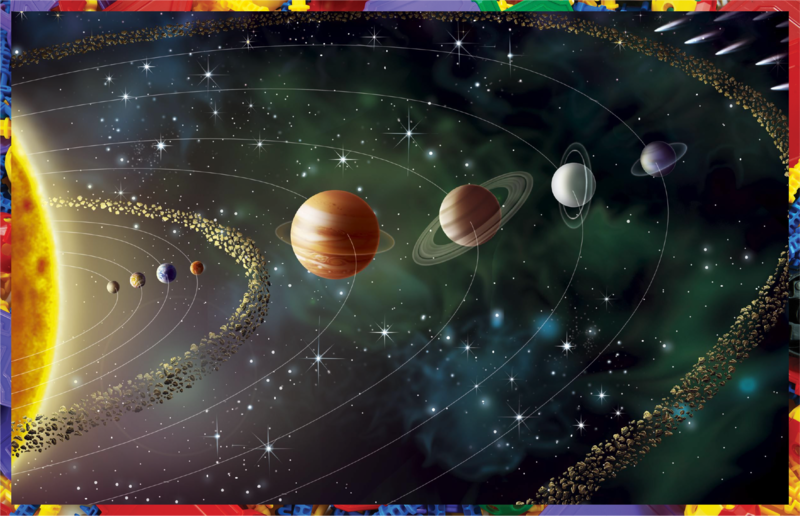 Our solar system is located in the Milky Way galaxy and it is only one of the millions of other galaxies that make up the vast universe. The concept of the galaxy was first introduced by Edwin Powell Hubble in 1923 when he located dozens of variable stars in the Andromeda and calculated their distance. People were hardly acquainted with the knowledge of galaxies in the Milky Way at that time. As stars and exoplanets were discovered, scientists probed further to understand the solar system and its components, leading to the revelation that the universe is made up of different galaxies. Our solar system is located in the Milky Way galaxy and it is only one of the millions of other galaxies that make up the vast universe. A more recent space discovery was the Planet HD 106906b, termed as a ‘super-monster’ being 11 times more monolithic than Jupiter. The distance of HD from its origin-star is an astonishing 650 astronomical units (AU) where an AU is the average distance between the sun and our planet. Compared to Mars’ 1.5 AUs, the HD has a mind-bending range lying far away from the rest of the planets in the solar system. The discovery can lead to further investigation into planet formation and a better understanding of exoplanets orbiting at a larger distance. The triple-star system was discovered by the Kepler Space Observatory in 2016 after a research mission of 4 years that led to the revelation of the three stars bound by gravity. 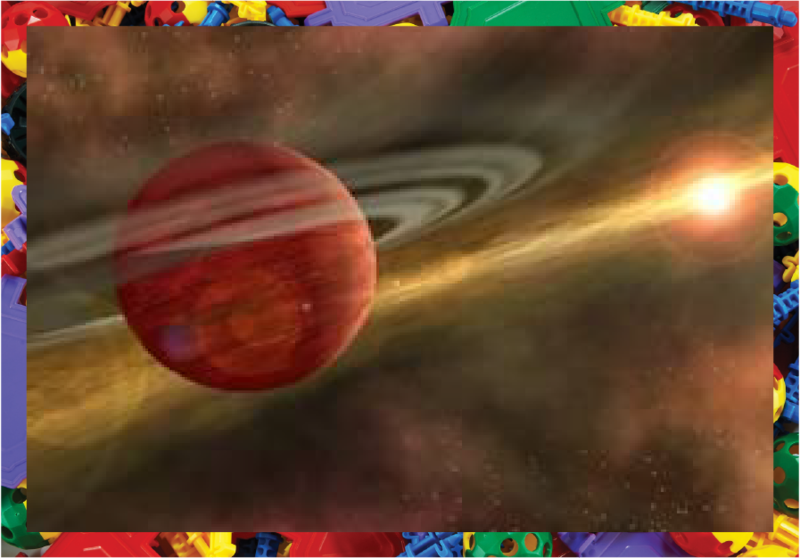 The system consists of two small stars in which the tiny one revolves around the larger one every 6 hours. Collectively known as KIC, it’s a mystery astronomers and scientists have still not been able to solve. Researchers termed the behavior as binary, revealing that the pair was orbited by a third body, a stellar star, every 204 days. Although the observatory provided ample details to UK astronomers, the analysis stated that the KIC required further probe. It is still referred to as the ‘impossible triple star’ that remains a mystery. Could we be ice-skating in space some day? Scientists have found out that the temperature of space is -270 degrees, resulting in the formation of ice on certain planets like Uranus and Neptune. The presence of ice suggests a possibility of water on these planets and perhaps, rocky formations and other species. From satellites orbiting the earth for wind measurements to the completion of Copernicus Earth observation fleet, new endeavors by the Galileo navigation system and Tesla Roadster’s space launch, space exploration appears to be in full swing. As Christa McAuliffe said, “Space is for everybody. It’s not just for a few people in science or math, or for a select group of astronauts. That’s our new frontier out there, and it’s everybody’s business to know about space”. It won’t be long before you’re planning a trip to Mars or the Moon. The Universe. A vast, mysterious system, running on energy, forces, laws and theories which intrigue and evade us. A few brave souls have tried and succeeded in unlocking some of the mysteries of the cosmos , leading to discoveries like Planck’s Constant, the Theory of Special Relativity, the Natural Unit of Light and Gravitational Laws. These findings help us understand our world a little bit better. 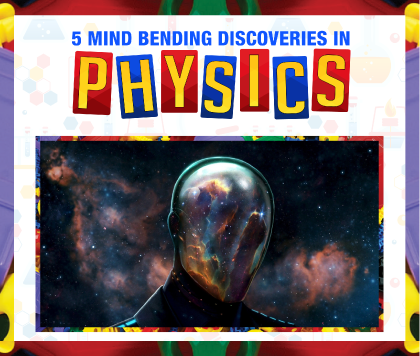 Here are 5 mind blowing discoveries in physics that changed how we see the phenomena around us. The Theory of Special Relativity was established by Albert Einstein, who surmised time would stop if you move at the speed of light. Technically, the speed of light moves at a constant speed of 3 x 10^8 meters/second. 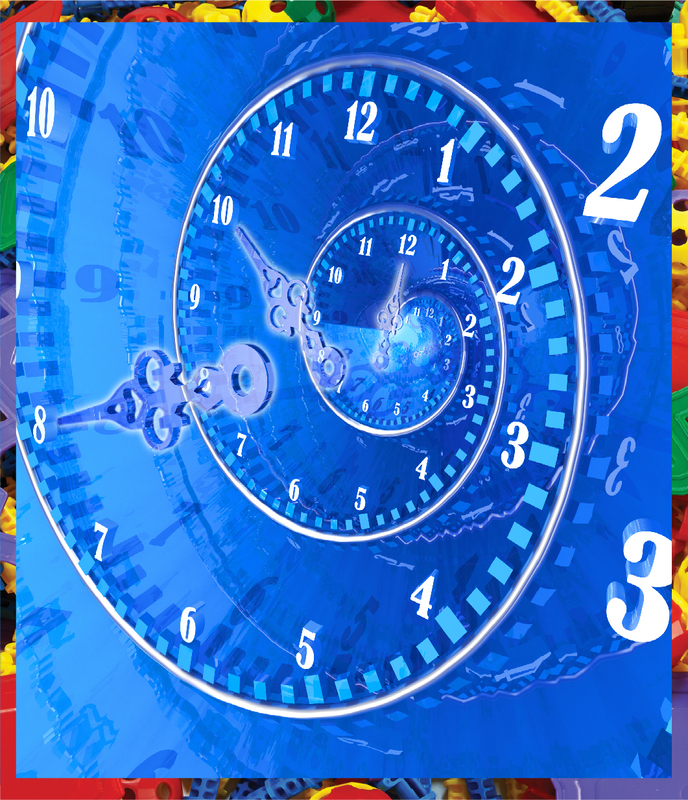 This theory is based on the concept of time expansion, so the faster you move, the slower time passes with regards to your surroundings. This means the clock won’t tick if you move at the speed of light as the time would slow down so much that it would eventually come to a stop. Einstein’s work on special relativity led to the theory of general relativity in 1915 after much mulling over the effects of introducing acceleration to the Theory of Special Relativity. The general perception of empty space is of an emptiness, with nothing occupying the spatial points in it. 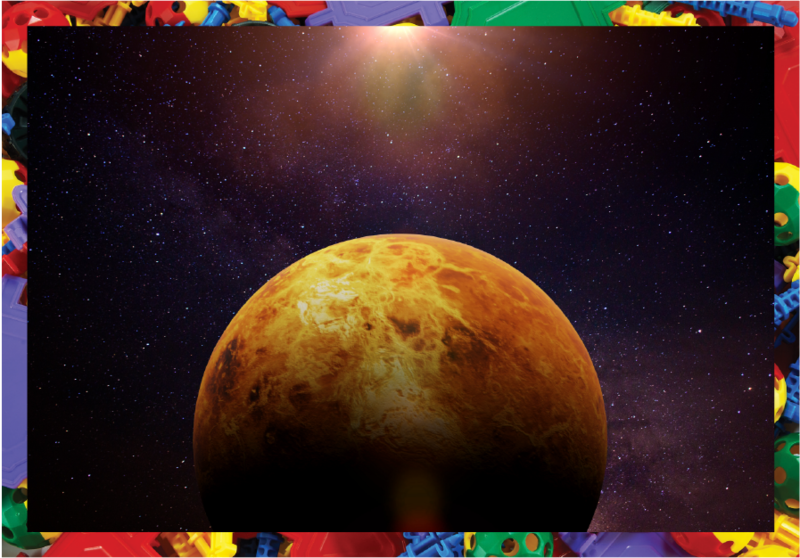 Thanks to John Wheeler, we know this is not how space is composed. 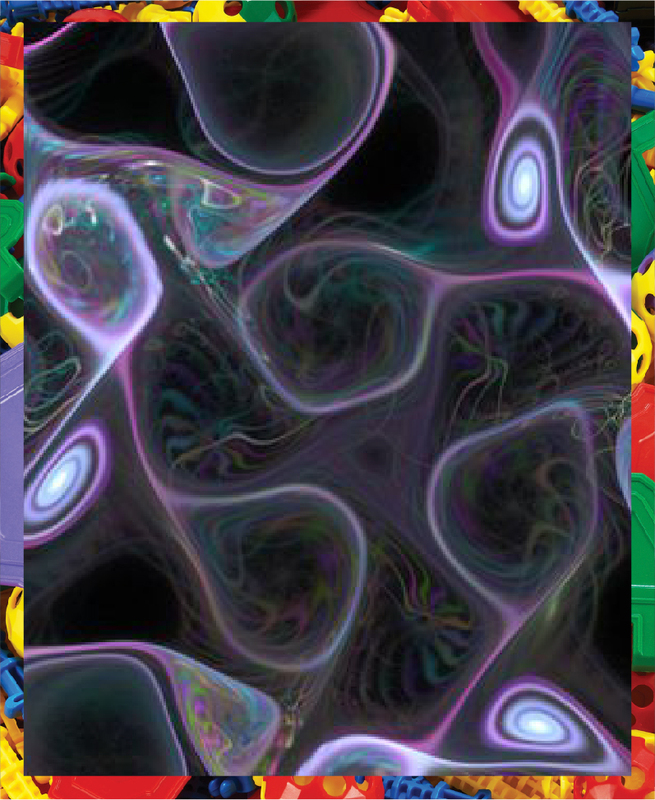 There are real virtual particles that exist temporarily, moving in and popping out of the realm. They have been tested and proven by expert physicists. This phenomenon is called the Quantum Foam and scientists termed it so because the virtual molecules resemble the shifting bubbles similar to ones usually seen in fizzy drinks. Although they are real, they only exist for a short time, a fraction of a second, before they quickly disappear without affecting the inherent laws of physics. 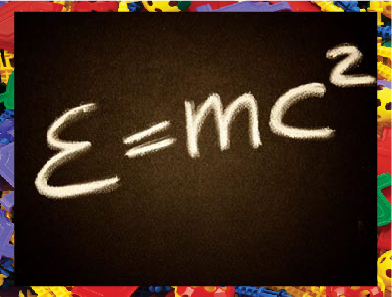 Another striking discovery is Einstein’s mass and energy equivalence (E=mc2), which states that although these two physical quantities may be contrasting, they are in fact related. According to the theory, the energy stored in any specific amount of mass or object can be calculated by using the conversion factor of c2, where c is a constant for the speed of light. This reinforces that the energy of an object is very large even if its mass is very little. No, heavy objects do not fall faster than lightweight ones! The Law of Gravitational Force prevails. A ball used for bowling does fall quicker than a bird’s feather, but this has no concern with gravity at all. The resistance from the earth’s atmosphere is responsible for this. The initial acceleration for the feather is the same as for the bowling ball. However, the feather’s surface area to mass ratio is greater, reducing its top speed and causing it to fall at a slower rate. This discovery by Galileo 400 years ago paved the way for further exploration and discoveries, especially in modern physics. 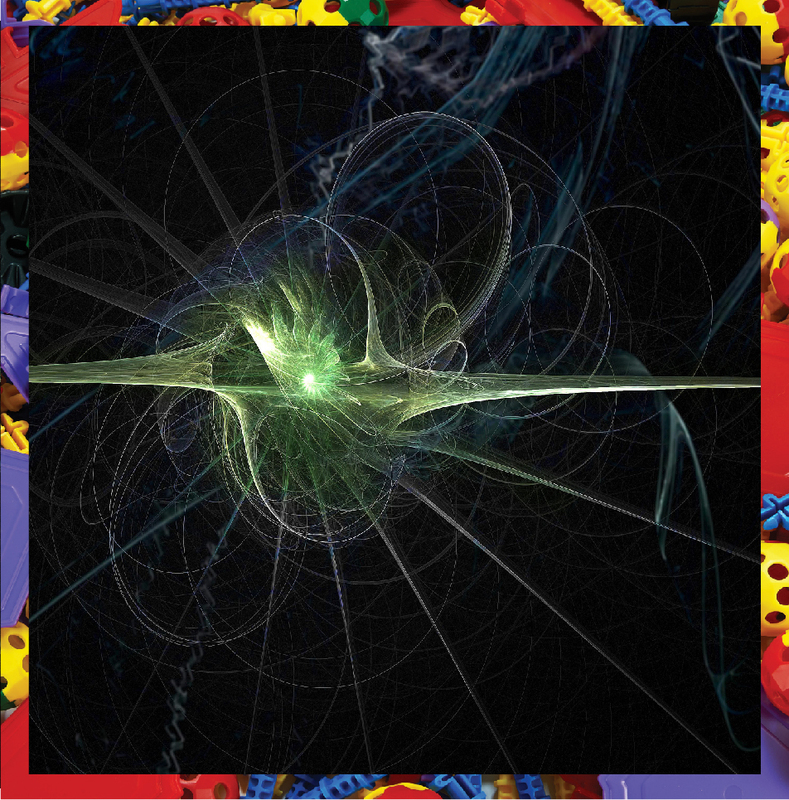 The Wave Particle Duality Theory suggests both light and electrons can act as particles and waves as well. Generally, particles such as electrons and light waves cannot be alike since particles are solid state of matter while waves are comprised of energy beams. However, scientists have proven light can be both a wave and a particle, as can electrons. 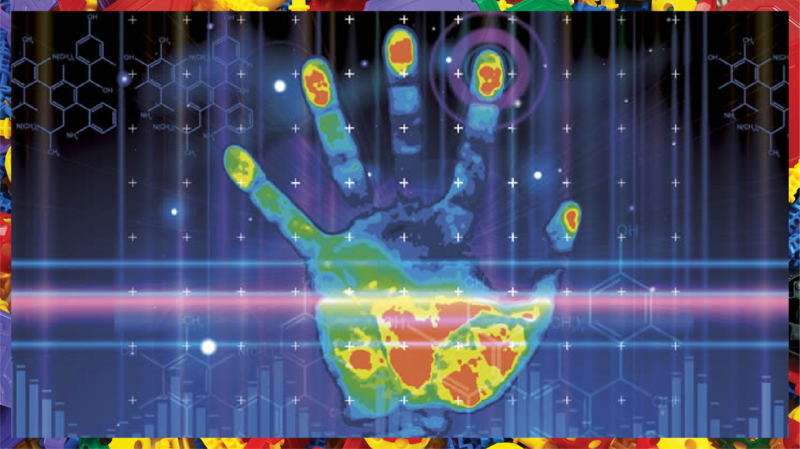 The small wavelengths of an electron are useful aids for inspecting objects smaller in size. Similarly, neutrons with wavelengths measuring 0.1nm, the typical atomic spacing in a solid material, provide useful insights into the structure of solids. These groundbreaking discoveries over the years have been instrumental in further explaining a multitude of significant physics concepts. These discoveries from Albert Einstein, Galileo and others paved the way for modern physics and brought us a few steps closer to solving the enigma of the universe. 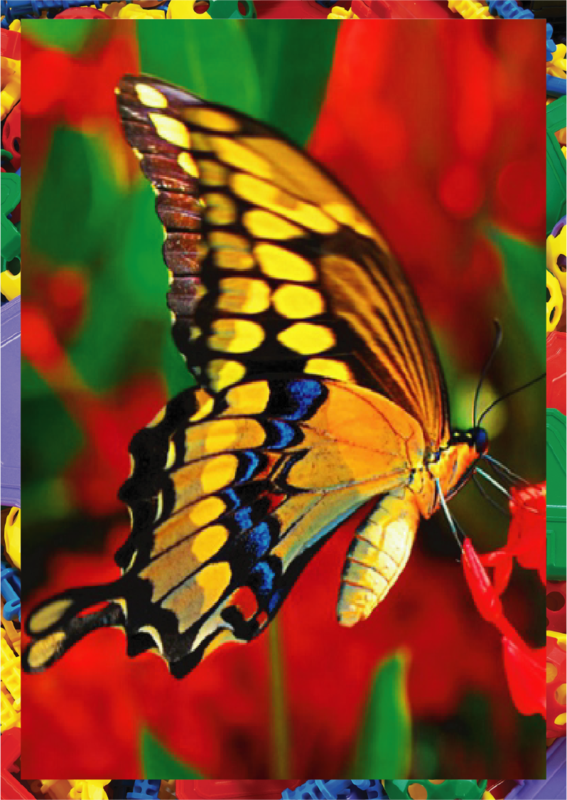 Ever wondered how a wiggly little caterpillar blossoms into a colorful fluttering butterfly? Butterflies normally go through complete metamorphosis and the entire lifecycle is divided into four distinct stages. 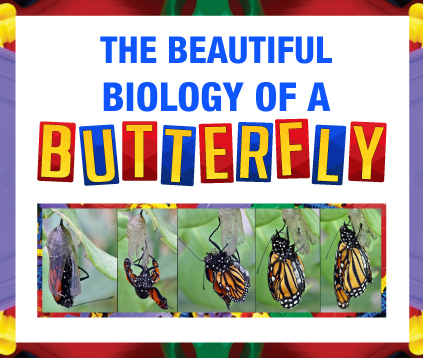 A butterfly has to go through each of these four stages called the egg, larva, pupa and adult, where each lifecycle phase has a particular purpose or goal. Based on the species of the butterfly, the metamorphosis may span anywhere from 30 days to an entire year! The initial form of a butterfly is a tiny spherical or cylindrical egg lying on the surface of a leaf. If you peer closer, you’ll notice a small caterpillar or a tiny larva growing inside it. The shape of the egg normally depends on the specific type of butterfly that laid it and can range from basic oval to round and even ribbed figures. 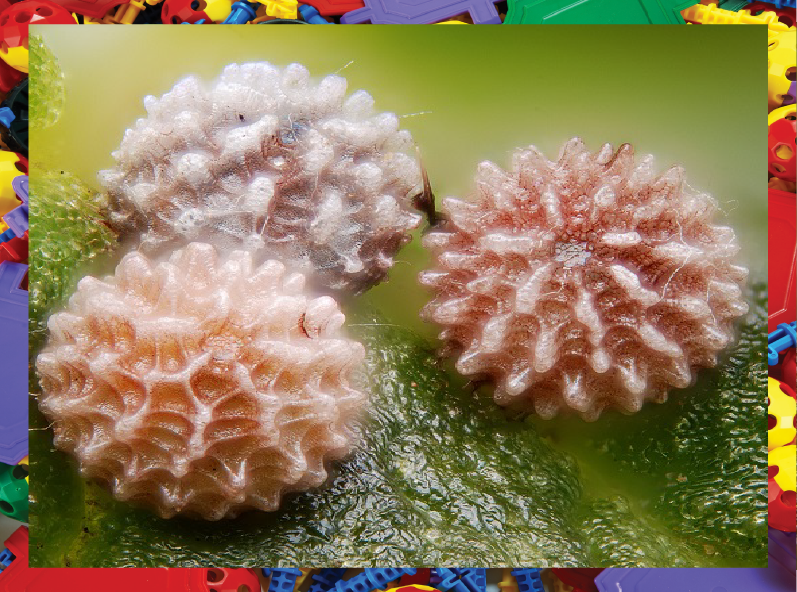 Most of these eggs can be found on the leaves of outdoor plants and garden plantation. Don’t expect a butterfly to pop out right away as soon as the egg hatches. In the second stage, the egg transforms into a butterfly larva known as the caterpillar. The caterpillar is the star of this stage, and its role is to eat the leaf it was born onto. The type of leaf consumed depends on the type of caterpillar. The tiny, stubby thing cannot move onto to a new plant and so has to hatch on the kind of leaf it likes to eat. This is the basic goal of the larva stage, which prepares the caterpillar for the next phase in the metamorphosis. 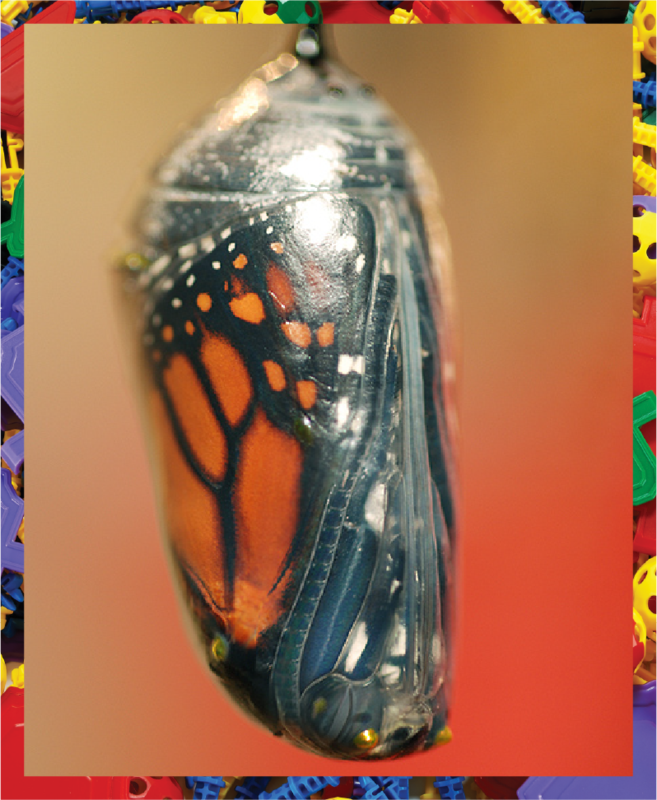 The pupa or chrysalis phase is the core transformational stage for the lifecycle of a butterfly. 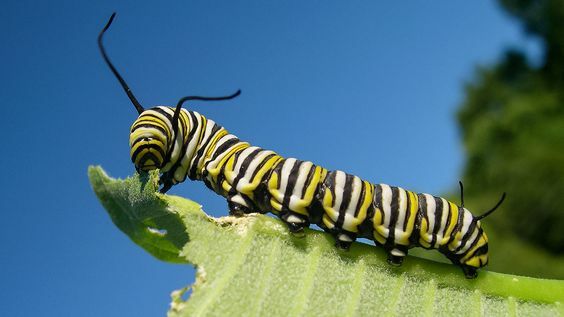 Once the caterpillar has grown into the required size, the tissues are broken down and the limbs and organs are shaped into a pupa, also referred to as a chrysalis. If you look at the outer part of the pupa, you’ll feel as if the caterpillar is just taking a rest but it is in fact growing and transforming inside the chrysalis. Within the pupa, the caterpillar undergoes remarkable physical and structural changes to develop the exquisite parts of a butterfly. By the time the pupa is complete, the transformed caterpillar is all ready for the fourth and final stage of the life cycle. This stage features the emergence of the adult butterfly from the pupa once the caterpillar has undergone full transformation and all necessary changes to its form are complete. As soon as the butterfly comes out of the chrysalis, you’ll notice its wings are a bit soft and aligned towards its body. The folded wings with a gentle feel to them are so because the butterfly has to fit all the body parts inside the pupa while the metamorphosis is in process. As soon as the butterfly has rested after moving out of the chrysalis, it goes to work by pumping blood into the new wings which need to flap so it can fly. It takes the butterfly 3 to 4 hours to develop flying expertise after which it is ready to reproduce and lay some eggs. 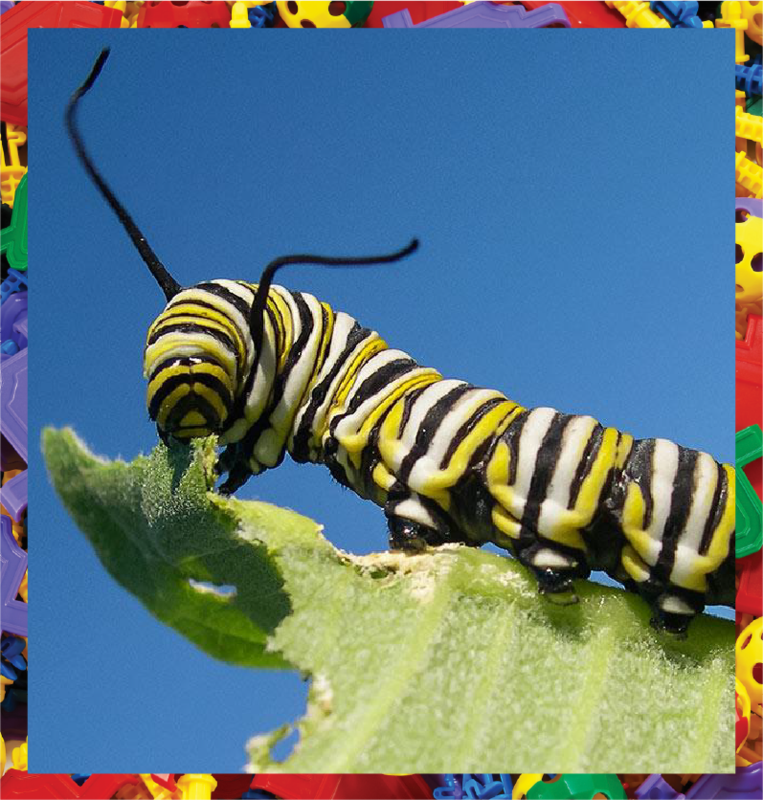 You can enjoy watching a butterfly grow out of a tiny caterpillar if you have your own butterfly garden or try using any of the cool butterfly raising kits to see this incredible process for yourself. Does absorbing a new topic take more time than it should? You might want to switch up your learning skills. 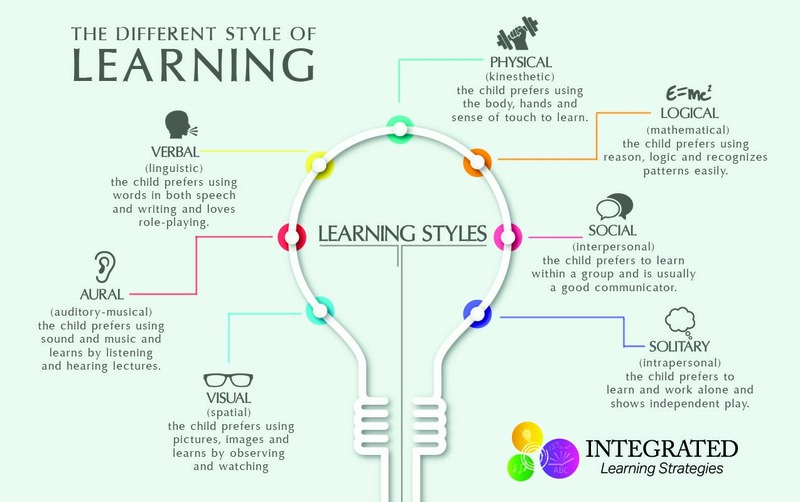 Getting an idea of your learning style and the way you learn best will largely assist you in developing your comprehension, reasoning and assimilating abilities. 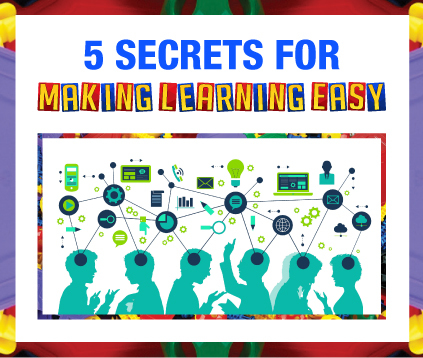 Building on your learning skills doesn’t have to feel like a climb up Mount Everest. Take a look at these secrets below to step up your game. 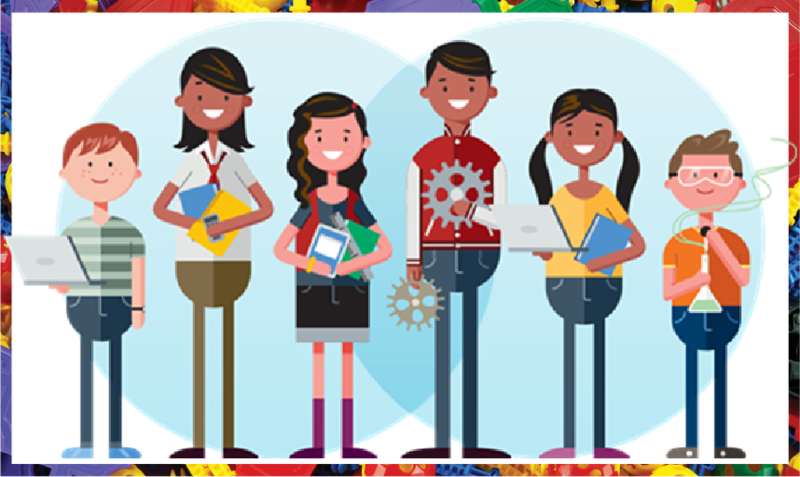 Finding out about your learning style is the place to start if want to learn a new skill promptly or score top grades in your class. 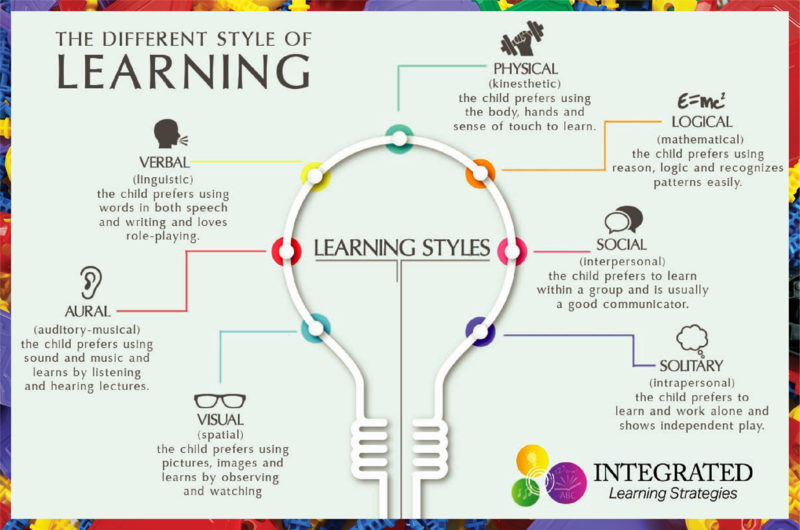 While some learn better through a visual mode such as reading, others may feel comfortable grasping new concepts through listening (auditory learning) or physical activities (kinesthetic learning). 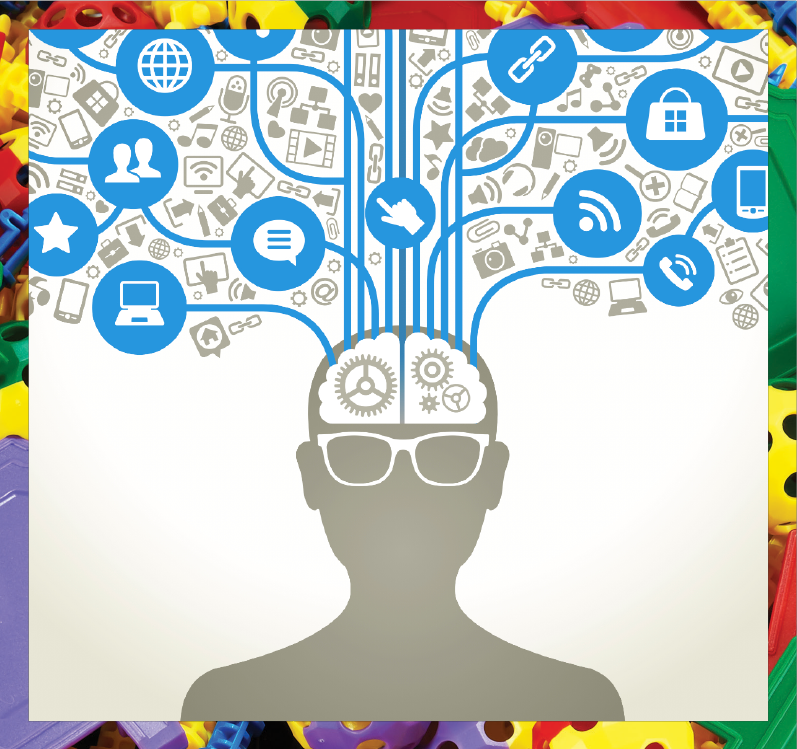 Identify your specific learning style and embed the Multi-pass approach within it to customize your own learning technique so you can work smarter, not harder. For example, if you’re an audio learner, then make use of audio CDs to acquire new knowledge during a traffic jam to make your time more productive. If you prefer music playing in the background while you’re studying, then put on your favorite tune and have fun learning.atures and capabilities of a person. These relate to the way we perceive things and pick out patterns to organize and arrange them in a meaningful manner within a knowledge base. The multi-pass approach relates to tackling a new concept, theory or material instantaneously. 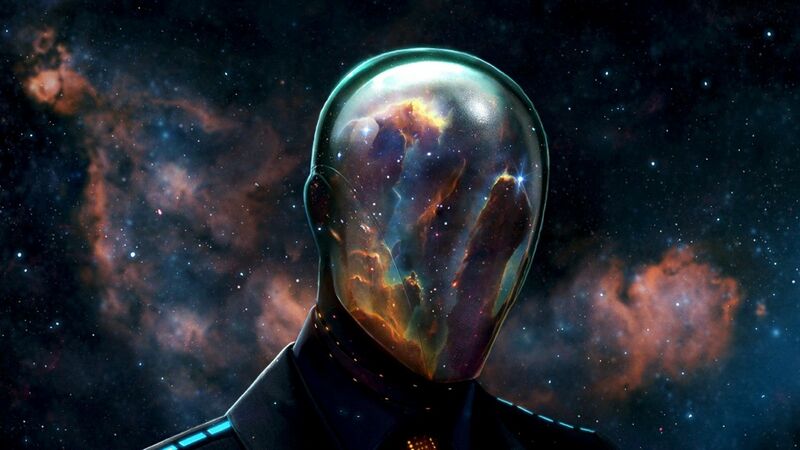 The sooner you get it out of the way, the better your subconscious mind will be able to process the next phase where the comprehension and assimilation of the material really begins. Fuse this approach with your preferred learning style and you’ll definitely notice the effects the next time you glance at the same material. 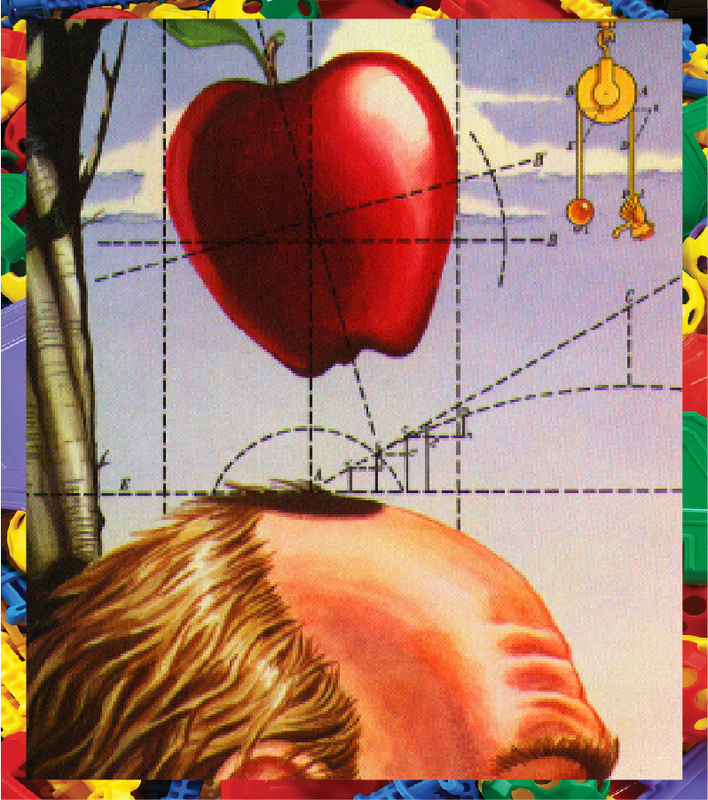 While analyzing a piece of information or looking at some material, change your learning paradigm to bring about a shift in the role or viewpoint.For example, you could look at a school assignment from the point of view of a teacher or analyze the outcome of a proposed solution at work from the perspective of the client. This will help you keep the final outcome in mind so you can sift through the information easily. Every part of your body has a mind of its own. Ensure your brain and body are in harmony with each other when studying and look out for any deviating signals your body might be giving you to signify a disconnect between what your mind is learning and what your body wants. It’s your mind’s way of telling you there are other, more significant needs you should pay attention to. You should schedule short breaks within an extended period of study, for example a 5-minute getaway after every 45 minutes and 15-minute break every 2 hours. According to research, the human brain retains most of the first and last components of the study material so take short breaks during regular intervals to expand these components. It’s also a great way to give your brain a breather so you can resume with a fresh, sharper mind to be more productive. Learning is a continuous process, not limited by age or education. Developing smart study habits and familiarizing yourself with your personal learning style are key to understanding a concept better. The more you’re in sync with your learning paradigm, the better you’ll be able to grasp a science topic, a math problem or a new idea.